A classic mistake made by small and medium businesses is to assume that more customers mean more business. Common sense says that for a company does better, you need to attract more customers and more people know it. This is, in effect, a more or less obvious principle. But the obvious is not always the most successful. A smarter approach is to think long term, strategically. And, really, what many customers do you need? First, remember that it costs money to grow the customer base. For every person who says “yes”, there will be 10, 20 or 100 that say “no” (depending on the rotation). Why are so expensive mass advertising campaigns, because of its high reach and impact can carry the message to a larger number of individuals? Remember that a company that attracts 1,000 new customers in one year does not necessarily generate 1,000 businesses. Occasionally, some give more headaches you profit. Sometimes administrative expenses for huge portfolios exceed the marginal revenue of many of those customers. It is much better to sell a few, little by many. Finally, what are the lure 1,000 customers, 900 if you will not return to buy? For all this, think long term inevitably leads to a key issue: learning to retain customers. In this logic, it’s best to keep our consumers and make those relationships grow, to hunt blindly more prospects. Customers with certain age present highest satisfaction and are more willing to buy new products and services. In addition, it becomes the best ally to recommend the company among their friends and acquaintances. 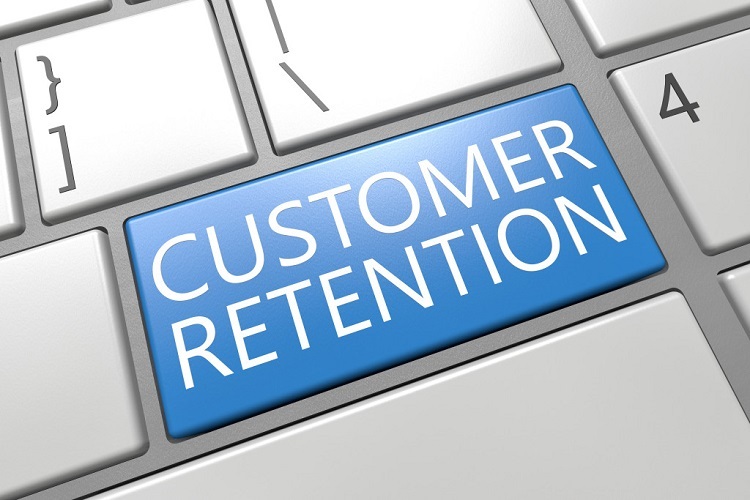 It is very important to distinguish that customer retention is not the same thing as loyalty. The latter is acquired after years of providing consistently excellent service and is not measured points card, but with a personal conviction of the consumer towards a certain brand to which you want and you trust. The first step to reach a customer loyalty is to keep him. Abundance of offers: For every need there is a wide variety of a product or services that try to satisfy it. Uniformity of tenders: Although one of the principles of competitive strategy is to differentiate, the truth is that almost all products and services within a category basically offer the same. Think banks, supermarkets, cinemas, water or bottled salad dressings. A more informed consumer: These are individuals who do not believe everything he says advertising and assume a more active when researching options and attributes compare prices and guarantees role. Acquired rights: The customer retention programs based on points or discounts ceased to be valuable. No longer have they represented a “plus” because almost all handled. Given this scenario, the consumer feels “right” to demand a reward for their purchases. Despite these barriers, and precisely because of them, a smart company should know how to retain customers to create long-term relationships with them, slowing their marketing costs and maximizing profits. Now, how do I do it? 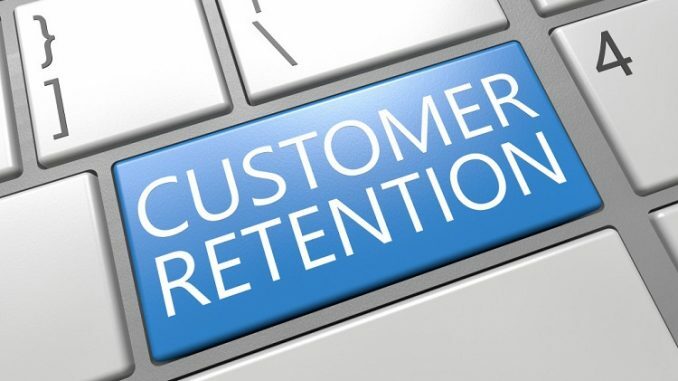 1) Define what type of retention is the result you want: There are many ways to make customers stay active. For example, you could increase the frequency of monthly purchase. If two purchases a month, the aim would be to increase that number to three or four. Or search for that amount of purchases increase: if the average bill is $ 300, the target would raise the figure to $ 400 or $ 500. 2) Set some basic promotional mechanics: Although these schemes are no longer innovative, no company can ignore. A basic scheme is a promotion that becomes permanent, as is the case of the “Tuesday of 2 × 1” Domino’s Pizza or “sales inventory”. These offerings are designed to encourage the purchase steadily. So the next step to achieve retention goals is to launch an offer that motivates the expected behavior. If you want to increase the average amount of your transactions, you can give a ticket to a weekly raffle minimum purchase of $ 500. 3) Try to stock all your products: Think of places where you do your everyday purchases, for example, cleaning supplies or personal care. Surely you go to the store where you always find what you want. Do the same in your company. Make sure you have enough stock on hand for the customer always find what you want. It is very simple: companies where lack loses many sales offer. 4) Always offers new things: Once secured stocks, launches new products to market. While it is true that consumers are looking for reliability, also you want news. Every so can special sales of imported products. “Every fortnight a country” for example. If you offer variety, consumers will return again and again to see what news is. 5) Do not neglect the service: No one likes to be where treated badly. In your company, your customers are going for pleasure or because they have no other? If the answer is the latter, then they will leave at the time that alternative appears. The best antidote to prevent this from happening is to always offer superb service. Manages personal attention, try to remember the name of the customer and includes complementary services. Which? Today almost no one gives free parking ticket stamped, but is one of the best strategies complementary services. Another example is some agencies Toyota automotive service its customers leading to a mall while the vehicle is serviced. A company that offers poor service deserves your customer’s leaves and not returns. 6) Identify your premium customers: They are those who buy much more than others. Remember that 70% of profits generally come only 30% of customers. You know who they are? Once you detect ask how much you would lose if in one, two or five years some of them go? Make your customer segmentation based on frequency, purchase amount and future economic value. And treat them differently. It offers better purchasing conditions, innovative services and an exclusive treatment. There is nothing wrong, because the truth is that “customers to customers.” Be careful in communicating this difference. Let everyone know that to become a “premium customers” will be treated differently, but not openly show these differences. How would you feel if after 45 minutes of waiting in line at a bank, someone came, it was formed in the area of “preferred customers” and go in and out in less than five minutes? 7) Provides security: In all purchases various risk factors involved. The two most common are functional and financial. The first is the risk that the product or service may not work as it should and the second is the risk of paying more for something that is worth less. One way to make your customers always stay with you is minimizing those risks. It provides honest and generous guarantees malfunction. It establishes policies for which price or even does an additional rebate if the customer finds it cheaper product elsewhere. And most importantly communicates guarantees and stick to them.